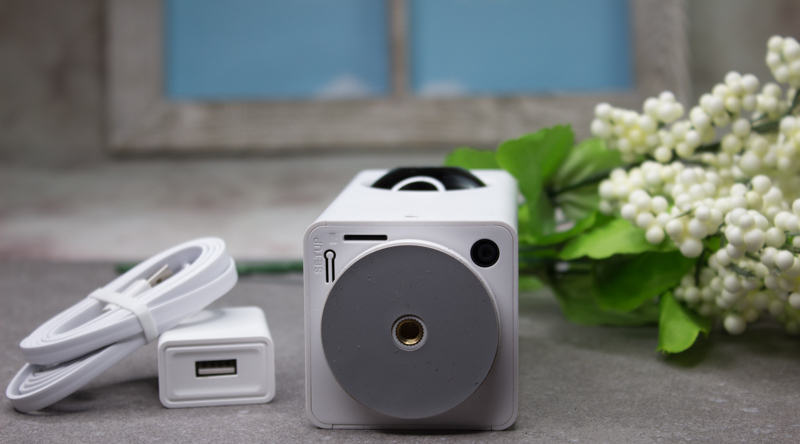 The Wyze Cam Pan is one of the most ambitious devices to ever come across my desk. It’s a security camera that features 1080p live-streaming, pan and tilt, motion-detection, and cloud storage – for just $29.99. I spent a few weeks with one to see if a budget security cam could make me feel safe. I have to admit I was a bit skeptical when Wyze sent me a camera with a laundry list of features that seemed excessive for such a modestly priced device. Security cameras with similar functionality tend to cost at least twice as much or more. But, if you can stand a few shortcomings, the Wyze Cam Pan is actually a contender among those higher priced options. Perhaps the biggest draw to the device is its pan and tilt features. I’ve got an Amazon Cloud Cam that provides a fantastic picture, but I can’t remotely control it and make it look around the room. The Wyze Cam Pan features 360 degree panning, so you can see in every direction, and it also has a 93 degree tilt so you can sweep the room from ceiling to floor. It works fantastically and responds to commands with very little lag. The camera also connects to WiFi and broadcasts securely over the internet, which means you can view and adjust it even when you’re not connected to your WiFi network. In order to get the same amount of coverage from non-rotating cameras you’d have to use at least two. Along with the ability to manually pan and tilt the camera, the device features way point tracking and motion-detection. You can set four custom way points and the camera will adjust itself from one point to the next, remaining on each for 10 seconds at a time. You can set the camera in the middle of a room and put it on patrol, if it sees anything move it’ll track it – though it does bear mention that the tracking features are currently still in beta. As mentioned before, the device shoots in 1080p, so you’re getting a full HD image. 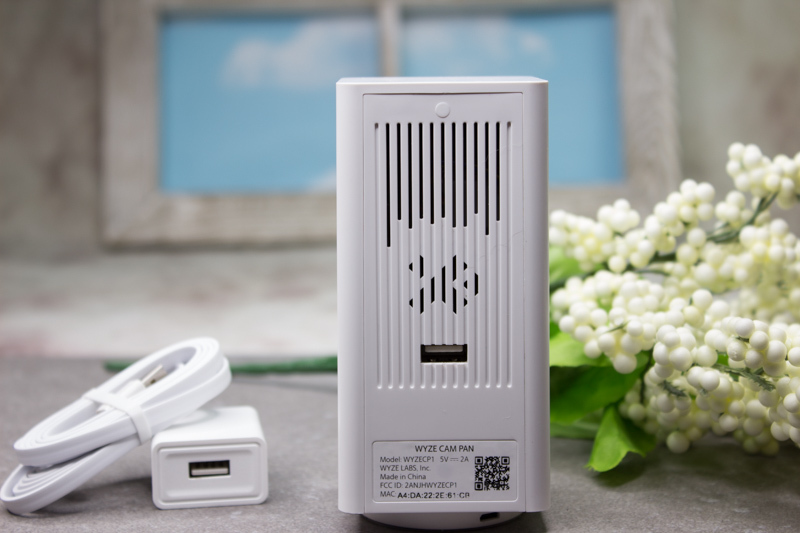 The picture is sharp and bright, and you can save video and photographs to a gallery in the cloud, with 14 days of included rolling storage, or to an SD card internally. In the looks department it again overachieves. I’m not a big fan of uniformity when it comes to tech gadgets, and I’m sick of the understated ‘black everything’ trend that’s gripped the industry for the last decade. Thankfully Wyze opted to ditch the standard black bubble cam appearance used by most competing pan and tilt cameras. 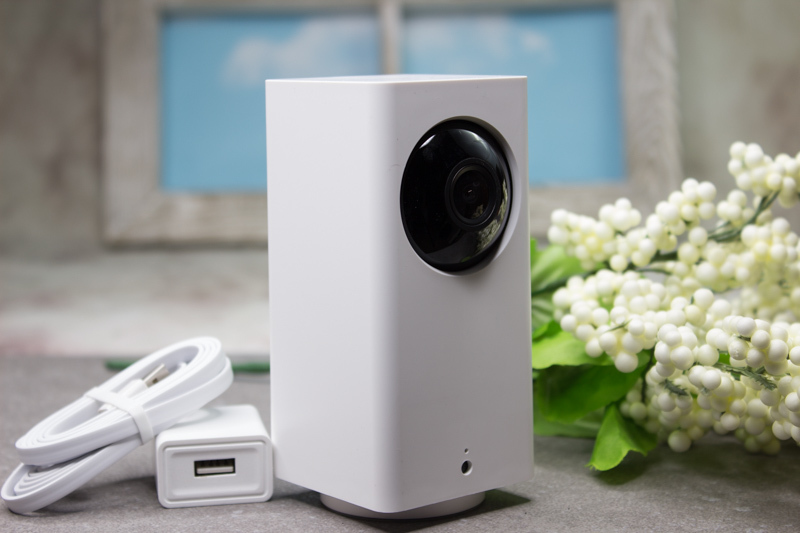 The Wyze Cam Pan looks like a thick hunk of rectangular white plastic with a camera for an eye, and I love it. It’s at home on my counter or desk, next to other gadgets, because it doesn’t look like every other camera out there – which is a good thing. It also has an option to turn its front LED light off, making it even more innocuous sitting in the middle of a room. Unfortunately there’s a few things about the Wyze Cam Pan that I didn’t like. The camera is noisy when it moves. You’re not going to want this thing panning and tilting non-stop while you’re in the same room unless you’ve got some other noise going to drown it out. And, chances are, the moment it moves any intruders are going to be able to pinpoint exactly where the noise is coming from. It was because of the noise that I was reticent to use it as a baby monitor, despite the fact it has a pretty decent night vision setting. And, for some inexplicable reason, there doesn’t seem to be an on/off button on the device or inside the app, which means you have to unplug it if you don’t want it powered on. The camera also lacks any smart home connectivity, so it won’t communicate with your Google Assistant or Alexa. It does, however, come with its own app – and an impressive one at that. The device’s app has more robust features than you might expect. It has the standard features allowing you to manage recordings, capture screenshots, and control the pan and tilt. You can also listen in on your camera or use it as an intercom. More advanced features include setting notification alerts for movement, sound, or even smoke detector alarm sounds. You can also set waypoints for scanning, turn motion-detection on and off and even set the app to draw bright green rectangles around motion as it detects movement in real-time. The Wyze Cam Pan, despite a few shortcomings, does everything I want it to do and more. As far as value goes, it’s hard to beat at $29.99, a price which makes it worthwhile to consider buying one for each room. You can get one from the Wyze website.